Enjoy gorgeous mountain & city views from this spacious Round Hill Ranch featuring 2,291 Sq Ft. of space. The entry Level offers a large living room with fireplace, dining room, kitchen with all Appliances, a Breakfast Area & Pantry, 3 BR's & 2 Full Baths. The Lower Level is finished with a family room & fireplace, an office (currently used as a 4th bedroom), tons of storage, an oversized laundry room and a 3rd Full bath. 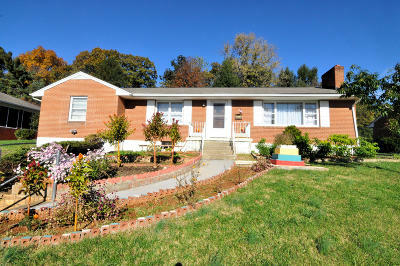 Exterior includes a 1 Car Garage & a nicely landscaped yard.